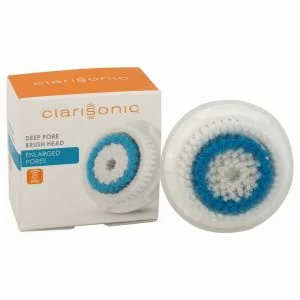 From the creators of the Sonicare toothbrush comes Clarisonic skin care. Sonic technology first changed the way we clean our teeth, now it’s changing the way we cleanse our skin. 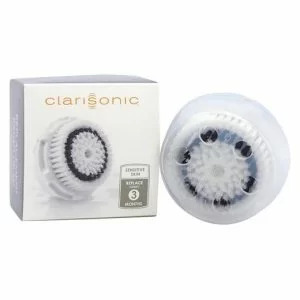 The Clarisonic Mia 2 is a professional-caliber brush that uses patented sonic frequency to move Clarisonic’s soft, gentle brush back and forth at more than 300 movements per second, thoroughly clearing pores and the skin surface. Typical manual cleansing can leave behind dirt and oil that become trapped in pores and fine lines. Without proper cleansing, pollutants, oil and bacteria can damage the appearance and heath of your skin. By cleansing daily with a Clarisonic Mia 2, you’ll remove dirt and oil better than with manual cleansing, resulting in healthier, more beautiful skin. Even makeup is removed six times better and skin is left so clean it actually absorbs products like serums and moisturizers better. 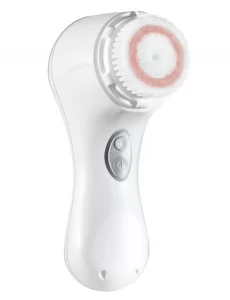 Clarisonic Mia 2 is remarkably gentle for twice daily cleansing of all skin types, including sensitive skin conditions such as rosacea and acne. Dermatology Specialists will help you determine what type of cleanser is best for you to use with your Clarisonic Mia 2. We recommend you replace your Clarisonic brush head every three months. The brush head will not look like a used toothbrush, but the end-rounded tips of the bristles wear down and flatten out creating a more jagged surface that will feel more aggressive and be less effective.